About Paola D. Message Paola D.
A funny and unforgetable day with a Private Guide!! Just a note to thank Paola for a fabulous all day tour of Buenos Aires. She was terrific and the tour was very special. TOUR GUIDE RESPONSE: Thank you Gary for your words! I hope you can visit Buenos Aires some other time. Paola delivered exactly what we had planned. She was waiting for us at the airport; helped us with our luggage, drove us around Buenos Aires for 4 hours, and delivered us to the cruise terminal at the port. She is personable, interesting, pleasant, knowledgeable, and flexible. She explained the history of the region. Paola answered my questions about the local economy and politics. I would definitely recommend Paola. TOUR GUIDE RESPONSE: Thank you very much Joel, it was a pleasure for me! I highly recommend Paola. The tour that we took hit all the places we wanted to go, Recoleta Cemetery, La Boca, with a her own treasures and gems in between. Her depth of knowledge was apparent. She delivered this knowledge with ease. The morning flew by. We hated to say goodbye! TOUR GUIDE RESPONSE: Great! What a good thing to know that everything was so usefull for you. For me is the best! Enjoy the rest of your trip! A hug for both of you! Paola brought Buenos Aires to life for us during the occasion of my birthday visit in February. Pleasant and knowledgeable, she was a fabulous companion to spend our day with! She chauffeured us around competently during a city tour customized just for us. We have hired several guides before and she is best of the best! Thanks so much, Paola! TOUR GUIDE RESPONSE: Thank you, and your wife a lot! TOUR GUIDE RESPONSE: Thank you all!! I had a wonderful time too! And thank you very much you all, to be so interested in my country and my lovely city! Love. Paola! We had a wonderful tour with Paola - she made us feel like we were friends immediately and we knew that we would enjoy our time together. We explored a variety of sights within the city, gained insight into the history and people, cuisines and cultures. She is extremely knowledgeable and passionate about her city and country and we will treasure our memories of time spent together. Thank you, Paola, and Tours by Locals! TOUR GUIDE RESPONSE: Oh Joane! What nice words! I also spent a very nice and friendship time with you two. Thank You very much! Paola was awesome! We had an extra day in BA from our cruise ship and we had already had a ship tour. Paola listened to where we had already been and took us to amazing places in the city. She answered our history questions and realized we were history buffs so she went even deeper into things we would have asked if we had known enough to ask. Great experience with a great lady. Best tour on the whole trip! What a wonderful, knowledgeable tour guide. Very enjoyable to be with, was able to answer all our questions, gave us excellent information about the history of Argentina and Buenos Aires, I now want to learn more of the history of this country. Excellent command of the English language. I would not hesitate to recommend Paola. Paola is great! She was very accommodating and knowledgeable. We learned so much about Buenos Aires, and she was flexible adjusting the tour to our interests. We really enjoyed our tour and highly recommend her! Paola was extremely knowledgeable about the social history that shaped today's Argentina. It was an enjoyable and informative tour and I have learned so much from Paola with her deep knowledge. An excellent introduction to the diverse history of this beautiful country. Paola was professional, friendly and approachable. Paola is extremely knowledgeable about Argentina's history, and was very effective at presenting each location in a well thought out historical and cultural context. Her English is excellent, with a large vocabulary, and she has both a great sense of humor and a great deal of patience, always happy not only to answer my endless questions, but also to explore any subject in depth. In this, my first trip to South America, she made Buenos Aires comprehensible, and I recommend her without reservation. TOUR GUIDE RESPONSE: Hi William!!! thank you so much for your words! So nice! Thank You! I hope the rest of your trip had been great! A pleasure to have you in Argentina, and a pleasure to be the one who showed you the City. The Best for you in this new Year! Wonderful tour! I could not have been more pleased in selecting Paola as my tour guide of Buenos Aires. Her in-depth knowledge of history, current events and architecture of Buenos Aires and Argentina made my time with her fascinating. I learned so much. She answered all of my questions and provided insight and stories behind historical sites and events. She was very engaging and made me feel welcomed the whole time we were together. I highly recommend Paola if you'd like an educational tour of the city. TOUR GUIDE RESPONSE: Hi Mark!!!!!! Thank you so much!!! Excellent guide with comprehensive knowledge of the city, the country and its people. 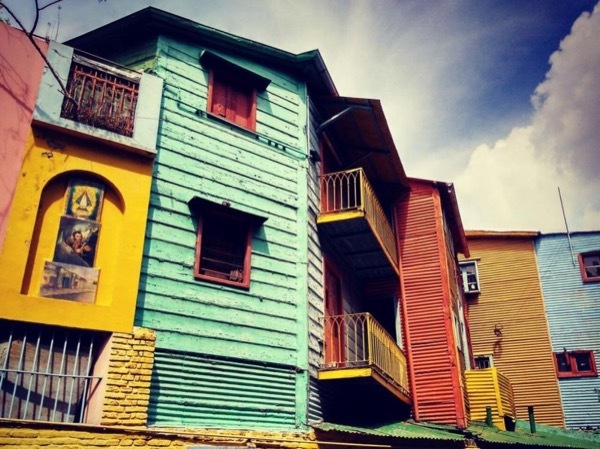 Possesses historical and architectural details about every aspect of Buenos Aires. Very good English. And, on top of her professionalism, a charming and engaging personality. Would highly recommend. Paola was an excellent guide. She was very knowledgeable on history of BA and some fun facts too. She made an extra stop for us so we could check out a bookstore we wanted to see. She picked just the right places to see for a 4 hour tour. TOUR GUIDE RESPONSE: A pleasure to have you in BA! TOUR GUIDE RESPONSE: Thank you both! I have really a good time too. It was very nice to have you here in Buenos Aires, is always very good to receive people that is interested in our culture, history and costums. Have a great trip!! Paola has a breadth of knowledge that made this tour fascinating. Loaded with literally 100+ questions I had low expectations, but her love of global history helped contextualise Argentina, Buenos Aires, and the local scene. We talked politics, economics, history and culture and she only showed a slight level of ignorance when it came to train spotting! Muchisimas gracias! TOUR GUIDE RESPONSE: Hi Richard!! Thank You for your words!!! And for next Time i Will prepare a Lot information about trains!!!! Jaja. Thank You AND see you! TOUR GUIDE RESPONSE: Thank you so much for your words! I hope your wife is feeling better now. Was a pleasure to have both of you in Buenos Aires!! Enjoy the rest of the trip! !